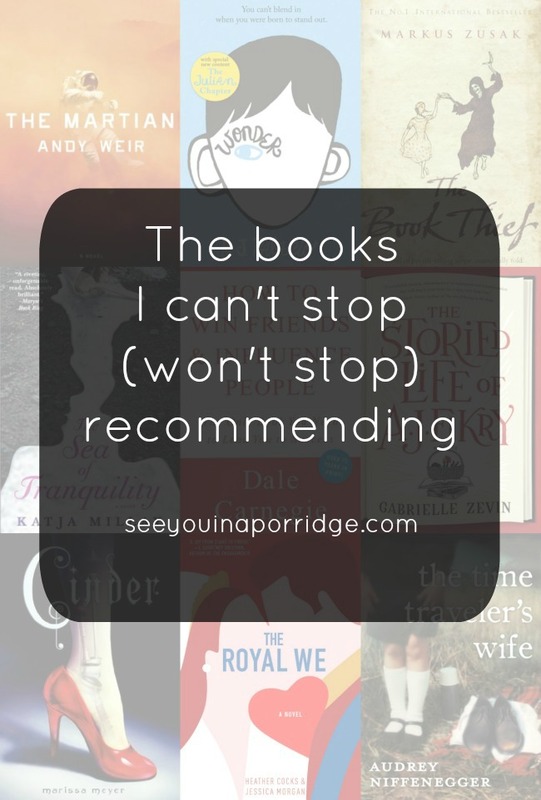 I talk about books a lot here, and I recommend a lot of them as well. But I have noticed that I continue to recommend the same titles to different people, so I thought I would share them here. 1. 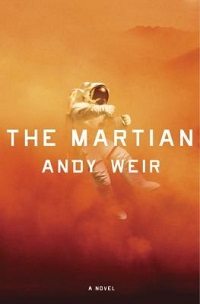 The Martian - seriously, why haven't you read this yet? Ignore the title, ignore the synopsis, ignore the feeling that 'it's not for you'. Believe me, it is. If you're worried about the science and math, listen to it instead (I highly recommend that anyway!). 2. Wonder - This should be required reading for every single person who can read. If you can't read, it should be required that it be read to you. 3. The Book Thief - No book has stayed with me like this book. So much love for this book. 4. 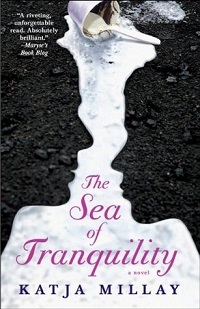 The Sea of Tranquility - The title, the synopsis, the cover - none of them do this book justice. All the feels. 5. 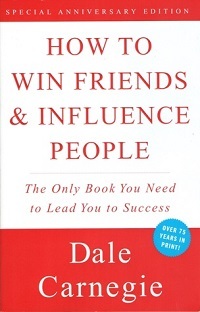 How to win friends and influence people - I know this is a bit of an odd one, and it honestly can be a bit boring at times, but the meat of it, the important stuff is still relevant today and can help in all areas of your life. 6. The Storied Life of A.J. Fikry - a book for book lovers. Like #4, the title, the synopsis or the cover do nothing for this book. Maybe that's why it's so good? It encourages medium expectations and then gets you right in the feels. 7. The Lunar Chronicles - Okay, they aren't for everyone, but if it even sounds remotely like your kind of thing, you need to check them out. I loved them. 8. The Royal We - it's a bit dorky, but I don't even care. More people need to read this book and love it as much as I do. 9. The Time Traveler's Wife - I know it's not everyone's jam, in fact I know several people who couldn't stand it. But I distinctly remember where I was when I read this book, when I read a certain chapter and my world collapsed around me. I was sobbing, really truly sobbing, for these people I didn't know, for these people who were not real. It was the first time I truly experienced 'non fictional feelings for very fictional characters'. 10. The last book I recommend: I recommend that you read a book, any book. Just read. Because reading is amazing. It's a whole new world and a whole new life, and that doesn't mean there is anything wrong with your world and your life, but to have the chance to experience that and not do it? That's crazy talk. I bet you expected to see Pride & Prejudice on this list. The truth is, I don't always recommend it, in fact most of the time I don't. I can't remember the last time I told someone they should read it, but I can remember several times I've said 'you should read Bridget Jones instead'. It's simply not for everyone, like vegemite. That's the beauty of books, and spreads. There is something for everyone. Speaking of books, just wanted to remind everyone, if you read Jackaby by William Ritter this month, the link up is next Tuesday! If you don't want to link up, we'd still love to hear your thoughts about it. What book are you currently recommending? I have a few on my list because of you and I TOTALLY was looking for P&P! You SIKED me out, lady! I agree with your last point, though. READ, JUST READ! Happy Friday, friend! I have been recommending The Martian left and right to everyone I know lately. Most of the time, they gee me this look that says, "ew, I just don't know..." and I respond with, "I'm not into sci-fi either. Trust me." I've also recommended The Kind Worth Killing by Peter Swanson to those who like mystery-thriller type books. I got a book for my birthday and I'm excited to implement reading actual books back into my life. I need it! I've heard awesome things about The Martian and Wonder sounds like something I need to read. I have read SO MANY great books thanks to your recommendations. I have been halfway through the Book Thief for months now and just picked it up again this week..I want to love it, and I do like it, but something about it just isn't pulling me in 100% yet. I will have to check out Wonder!!! I won't have gotten to Jackaby in time for the link up but will still be interested to hear thoughts on it!! I actually was expecting P&P but we've discussed that so I also know why it wasn't listed. I do want to read several of these and I promise I WILL read The Book Thief. That's probably the only book I'll read after already seeing the movie. totally agree with most of these! sometimes i wonder how others say they didn't like Fikry because i'm like WHY THE HELL NOT?! and my niece who is an avid reader refuses to read Wonder and i'm like WHY THE HELL NOT?! I'm just about to finish up Serial and then I'm gonna start listening to The Martian! WEEEEEEEEEE! Okay, okay, fiiiiine. I'll go read The Martian! 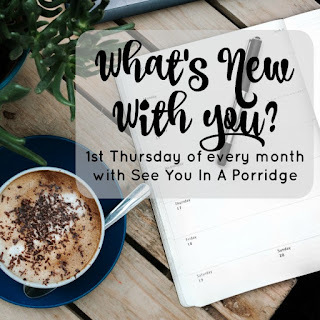 I am saving this blog so that I can go back and look when I need something to read! Wonder is on my list! I have to admit I didn't expect Pride & Prejudice to be on the list just because like you said it's not everyone's cup of tea. My sister in law keeps telling me to read it. Maybe when I quit the video store the beginning of the year and have more time I'll give it a shot. I loved The Time Traveler's Wife. Such a good one. The Book Thief as well. I actually think The Book Thief is a good book for people who aren't typically readers. I read Martian because of you and only you (and maybe Nadine!) but it was amazing, so I totally trust your book judgment. Adding these on my TBR. Have a good weekend lady! Definitely agree on The Martian (thanks for that one, by the way), Wonder, AJ Fikry, and The Book Thief. I liked The Time Traveler's Wife but it confused me. I had to keep checking to see how old everyone was. I kept getting lost. As you know, I volunteer at my daughter's school library and I saw that the librarian had recently purchased Wonder and I went nuts. SO EXCITED that that book is now on the shelves. I've either read most of these or have them on my too read list but I did add Wonder. After looking at all my friends Goodreads ratings I've definitely missed the bus on that one. Adding Wonder to my list. I loved The Martian and am still haunted by The Book Thief. The Time Traveller's Wife is amazing, but also devastating. And yes to number 10... just READ. I don't are what you read! Adding these to my list! I have heard The Royal We is great! 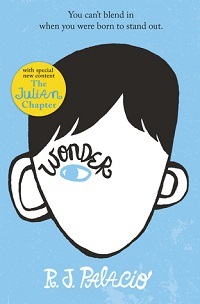 The Wonder is a required reading in our Middle School here. They do a "choose kind' talk every year. My daughter read it, but I still have not. And the Martian. I will def look into reading this book now. I didn't think it was my thing. I'll let you know what you think. ps. I LOVE your posts about books!!! I love Time Traveler's Wife (and the movie) so I have to check out the others. Thanks as always for the recommendations!! I've only read The Time Traveler's Wife and I cried too! I've had How to Win Friends and Influence People on my list since you mentioned it in another post. I haven't read The Book Thief, but I have seen the movie (I know, I know) haha I've heard so many good things about The Martian. I always think it won't be for me, but then other people say they thought that too and then they loved it, so I think I better just read it already! The books that I haven't read yet on this list were all already on my TBR list, so yay!!! I just love books!!! I am so glad I listened to you on AJ Fikry and The Martian. They were both amazing! The Time Traveler's Wife is my favorite book of ALL TIME!!! And I've been told to read Wonder--I definitely will! 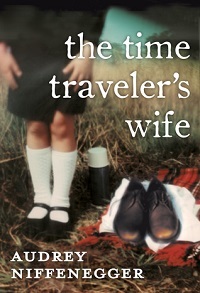 I LOVED the "Time Traveler's Wife" and it evoked a lively discussion at my Book Club when we read it. I really think it was incredibly well-written and really touching. I still need to read How to Win Friends, only ever heard good things. And yes, I've heard the martian is incredible! My brother in law was reading it all through Paris and was always laughing out loud. You always inspire me to read more! I am adding a few of these onto my books to read list...including the Martian. I laughed when you said to ignore the title/synopsis because those are the reasons why I wasn't interested in reading/watching the movie in the first place. But I trust your recommendation! Such a great list. Wonder should be required reading. 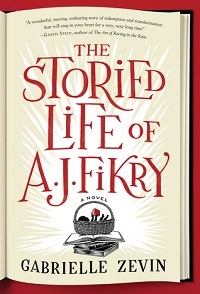 I really liked Tranquility and A.J Fikry, such different but wonderful stories. I'm really looking forward to reading Wonder, I've heard really good things about it. The book thief sounds good also, I might use it for the reading challenge! Wow, I've read almost all of these except The Royal We, which is on my to be read list, The Storied Life, and How to Win Friends.... Great list! I really loved the Sea of Tranquility too!! I have to try out some of these others! I've read almost all of these books except The Storied Life of A.J. Fikry. 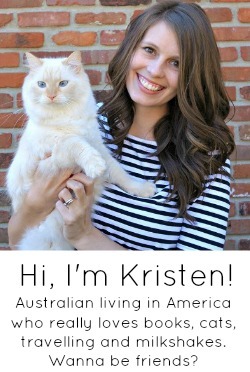 I've bumped it up on my reading list :) So happy I came across this post! 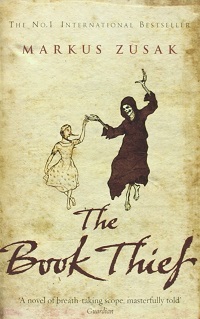 And, I totally agree, The Book Thief is an amazing book! This is such a fantastic list-I have read all of these or have them on my TBR except Wonder. Can't believe I've never heard of that one! I love that you ended the post with "just read". Of these, I've read The Martian and Wonder. YES YES to both. I would love to meet you because I'm chuckling as I read this list. It has some of my favorite books (Sea..., Wonder, and A.J. Fikry) and two of my least favorite (Time Traveler's Wife and The Book Thief). Fascinating, right? I loveee reading!! I haven't read The Book Thief but I've seen the movie and it was so good! I forgot that it was even a book (oops) so obviously I'll have to actually read it!! Have you read The Boy In The Stripped Pajamas? I think you'd like that one a lot! Seriously why don't people read more? I wish that I would've read the Martian instead or reading it because the math and science really got me. Totally agree with you about the lunar chronicles, the time travelers wife, and the book thief, all just so amazing books! Adding the royal we, the storied life, and the sea of tranquility to my ever growing book list! And I can't wait to link up for Jackaby next week! I'm reading Jackaby right now, so thanks for the reminder (because, hello, free book!!). This is the perfect list from you. I'd switch out three or four of them (because we're all different and what works for some, doesn't others), but overall...love this list!!! Such a great list! Guess I need to pick up Wonder. The Book Thief has been sitting on my shelf (paperback, pre-Kindle days) for months, so I need to jump into that one. I'm still recommending Eight Hundred Grapes to everyone - I have a deep emotional connection to that book now for some reason. Great list! I've read The Martian but the Book Thief has been on my TBR list for a while along with Wonder and the Time Traveler's Wife. Will be adding the rest of these to my list as well! I recommend the Unbearable Lightness of Being (Kundera), 100 Years of Solitude (Marquez), If on a Winter's Night a Traveller (Calvino) and Freedom (Franzen) to everyone. Only one I've read is The Time Travelers Wife and LOVED it!! The Royal We is on its way to me right now and I can't wait to get into it - off to check out the rest of your suggestions! I've been considering writing a post about some of my all-time favorite books. It's interesting, though, because like you with Pride and Prejudice, I don't always rush to recommend some of my favorites. I mean, I do recommend them ... But some of them are just not for everyone. The Martian is on my list, and now I am adding some others. I didn't love The Book Thief as much as most people, but I still enjoyed it. My most recent awesome read: Calling Me Home. Flew right through it! To me, the Bible is the best book written. 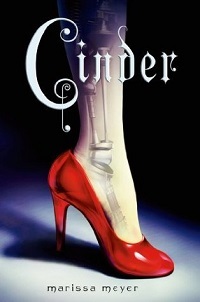 The Lunar Chronicles looks interesting. Will have to check it out. Have you read Snow Flower and the Secret Fan? That one is one of my all-time faves. i have not - i will have to check it out! 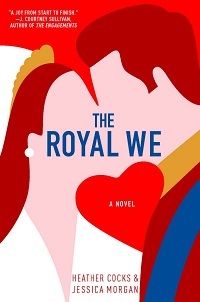 I've been wanting to read the Royal We but for some reason it's not out in the UK! I can't find a copy anywhere! And you're not the first to highly recommend the Time Traveller's Wife - I don't have any distinct memory of watching the movie - I mean I watched it but there is nothing good or bad that comes to mind, so I'm getting intrigued about the book now! and I 100% agree with the book thief!! Oh man, The Book Thief had me in tears! But it's a good one for sure! The Royal We is on my list! I have SO many books on my shelf that I haven't read yet but am dying to so hopefully I'll be able to step my reading game up soon! The Martian was sooo good! I have gotten a ton of great book ideas from your posts! Ooh, I'm so excited you put together this list. And guess what....I have read NONE of these! So lucky my I will not run out of book recommendations for quite awhile. I am totally that person who says, "The Martian is not for me." I do want to read The Royal We though...that's been on my list for ages. I was recently working on a post like this after three people in three days asked me for recommendations. 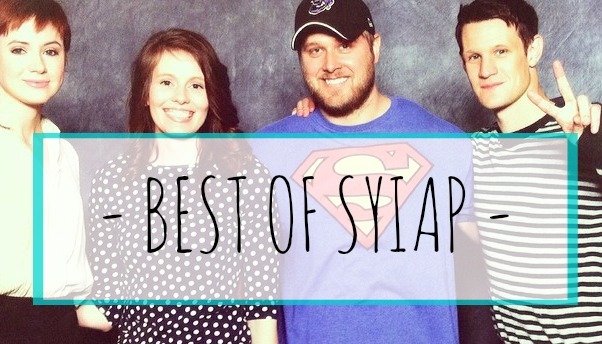 I definitely suggest some of these on your list and i also have a few on my TBR list. Like, The Sea of Tranquility. I need to read that one asap!!! 'non fictional feelings for very fictional characters' I feel these ALL the time. I love how much you love books, and I really love your note at the end about just reading something because, no matter what, it's worth the effort. It is. It so is. I want to read every single one of these. There goes my list of books growing even more! And The Royal We was definitely so much better than I thought it was going to be!! !